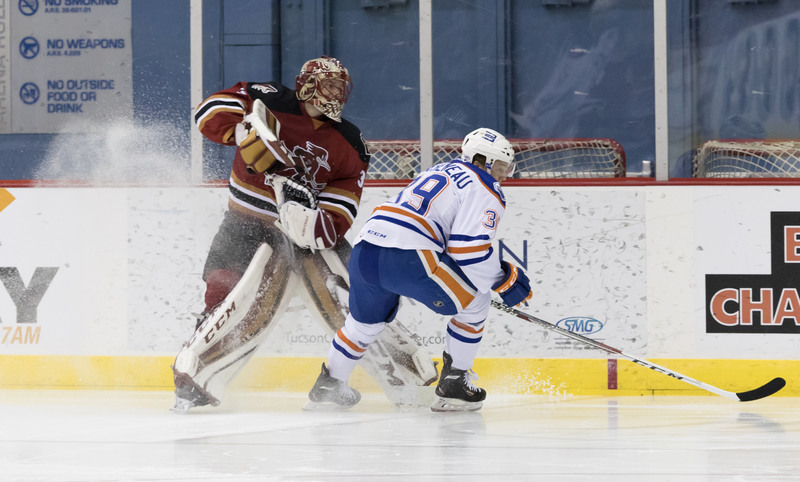 The Roadrunners were shut out for the fifth time this season in their 4-0 loss to the Bakersfield Condors Friday night at Tucson Arena. The team has now dropped to seventh-place in the Pacific Division, and has fallen below the .500 mark for the first time since the second game of the season. They are now without a goal scored in their previous two games. The Condors struck for their first goal just over six minutes into the contest. They added another pair of goals in a 1:25 minute span midway through the second period to take a 3-0 lead. Adin Hill was pulled following the Condors’ third goal of the evening. He stopped 17 of 20 shots faced. Bakersfield added an empty-net goal with 2:00 left in regulation to take a 4-0 lead, the night’s eventual final score. Marek Langhamer stopped all 10 shots he faced in relief of Hill. 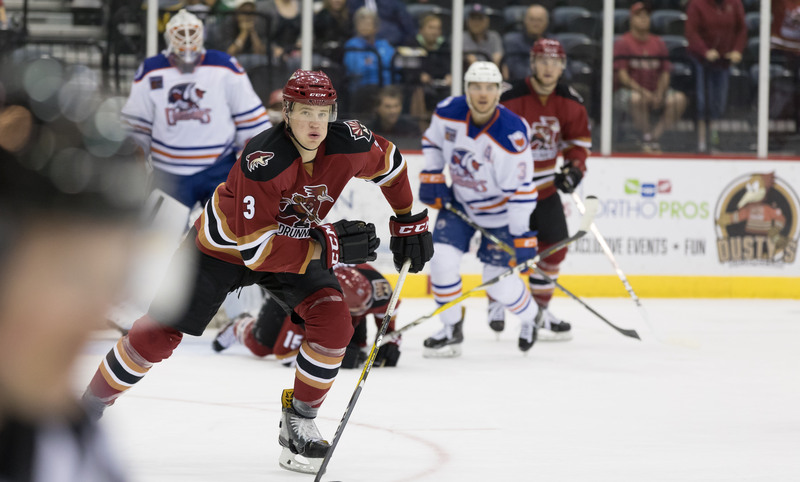 The Roadrunners totaled 27 shots during the evening, but were unable to get a puck past Bakersfield’s Jonas Gustavsson. The teams return to Tucson Arena Saturday night for a rematch, which is scheduled for a 7:05 PM start. The game will feature ‘Cancer Awareness Night’, and the Roadrunners will wear specialty jerseys that will be auctioned off following the game to benefit the University of Arizona Cancer Center.